Four workers died on the job last month - that is one death a week. In the first five months of this year, there were 32 workplace deaths - six more than in the same period last year, or a 23 per cent increase. The deaths continued despite the Manpower Ministry (MOM) announcing on May 12 stiffer penalties for workplace safety lapses. Companies found to have safety breaches will now have to stop work for at least three weeks instead of two. They also risk not being able to hire new foreign workers until they fix safety lapses. A week after the MOM announcement, the Singapore Contractors Association (SCAL) hit back, saying stiffer penalties will worsen the "dire situation" for errant companies and have "serious consequences" for the firms' viability. It called for a "review" of the approach to construction safety. But on May 28, SCAL seemed to have a change of heart, pledging to team up with the MOM and other agencies to step up workplace safety awareness. Still, SCAL's initial reaction was unsettling, especially since half the deaths this year occurred at construction sites. If the workplace death rate is be stemmed, the authorities, industry associations and companies need to be on the same page. Yet, workers' deaths and the authorities' reaction seem to follow a largely predictable script: the authorities tighten the screws on employers when the deaths spike, and the fatalities may slow but then increase again. That pattern has played out many times before. Another cause for concern is the lack of transparency. Information on what caused a worker's death is not always made public. That needs to change. Consider what we know about the deaths this year. Thirty-two workers died. But how did they die? A handful of cases were clear-cut - a lorry driver was killed in a traffic accident on May 16 and a worker was crushed by a reversing concrete truck on Jan 29. Most were vague. For example, a worker was found at the bottom of a cargo tank of a ship undergoing repairs. He later died in hospital on Jan 26. Also, are foreign workers more at risk than local workers in workplace deaths? The Straits Times asked the MOM for a year-on-year breakdown of the local and foreign workers killed doing their jobs in the last 10 years. The MOM declined to give the breakdown, saying only: "On average, two-thirds of workers who have died in fatal workplace accidents are foreigners." Since foreigners form about one-third of the total workforce, this suggests a disproportionately high percentage of deaths. There lies the rub - detailed data on workplace deaths is not made public. But the MOM refutes the suggestion that public data is lacking, saying: "It is not true that MOM does not release details of all workplace accidents." It points out that coroner's inquiries are held for every workplace death. While such inquiries are held in open court, they are still not widely accessible to the public. Also, it is up to the coroner to decide after the inquiry whether the findings are to be released to the public. The MOM also says it circulates preliminary investigations of accidents and recommended measures to companies in a free e-newsletter and on its website. It adds that it is working with the Singapore Institution of Safety Officers (SISO) to spread the safety message. What is needed is fine-grained data that could help in preventing such deaths, such as details of each work site, the age, gender and experience level of each worker and the circumstances of each death. Also, one wonders how effective the website, e-newsletters and coroner's inquiries are in driving home to companies the urgency of improving workplace safety. While it is unsurprising that employers and the authorities prefer to avoid the public spotlight on this issue, ignoring or underplaying workplace deaths can lead to public apathy. And if apathy sets in, the drive to reduce the deaths could come to naught. Releasing public information is something the authorities ought to do more of, and keep doing more of. The MOM says the causes of workplace deaths are "multi-faceted". It cites the lack of safety provisions, poor supervision, lack of adequate training of workers and negligence. If the causes are multi-faceted, the measures should follow in the same vein. Experts suggest two measures that can add to what the MOM and its Workplace Safety and Health Council are already doing in enforcement checks and safety awareness. 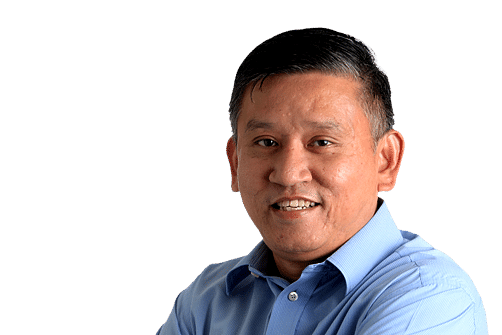 Mr Michael Heng, a director and consultant at human resource firm PeopleWorldwide, notes that there is a link between the salaries of workers and their vulnerability to injuries and deaths. Manual and low-wage workers are more vulnerable, he said. "For workers who are lowly paid, employers may value them less and place less emphasis on safety," says the former unionist and consultant for the International Labour Organisation. "If they do not want to do the jobs, they can be replaced." The deaths this year support his view. Besides the usual construction and shipyard workers, among the 32 who died were cleaners and a security guard. So far, the authorities have mostly targeted industry sectors to reduce workplace deaths. The focus can also shift to vulnerable workers directly by educating them to protect themselves. And the protection can include giving these workers safety equipment even though the gear may not be specified by the law. For example, a security guard died after falling down a flight of stairs on March 25. A cleaner died on Feb 7 after slipping on an unsheltered ramp when it was raining. Non-slip shoes that cost just $50 a pair are not standard equipment that bosses provide for their guards and cleaners - but one wonders if they would have prevented these two deaths. In some multinational companies, safety and non-slip shoes are standard issue for staff at work sites. More effort needs to be invested in training foreign workers in workplace safety even before they come to Singapore, says Mr Shivasanker S., managing director of Active Synergy Training and Consultancy. His firm has in the past two years trained about 6,000 foreign construction workers in the mandatory Construction Safety Orientation Course. It is a compulsory course that construction workers attend after they arrive in Singapore and which they have to pass before they are allowed to work. His view is that safety training can be more effective if the "safety measures are drummed into workers as early as when they are trained outside Singapore". This is possible because construction workers coming here are already required to be trained, tested and certified by the Building and Construction Authority in their home countries. Indeed, when I visited four construction training centres in Chennai, India, last week, I saw the trainee workers diligently going about learning the job but wearing completely unsuitable slippers. Worse, several were even barefoot. And some were not wearing safety helmets, either. If they do not learn good safety practices right from the start, it will be much harder to retrain them to shake off bad habits later. On the bright side, Singapore's workplace safety record is not dismal, and it has been improving. Workplace fatality rates have fallen from four per 100,000 workers in 2005 to 1.9 last year. Singapore fares better than the United States, which had 3.3 deaths per 100,000 workers in 2014. But it is still way behind Britain, which had 0.46 deaths per 100,000 workers from April 2014 to March last year. The authorities already have robust laws and enforcement measures in place. Industry associations and companies have on their part said they want to work with government agencies to reduce needless deaths. What is needed is a greater willingness to discuss the issue in public and doggedness in drumming the safety message home to employers and workers. Some like SISO president Bernard Soh believe the goal should be no less than zero fatalities. That may be impossible to achieve at the workplace but it does not mean Singapore cannot aspire to it.